Before you commit to getting straighter teeth, you want to know that you’re going to get results. Check out these before and after photos and patient testimonials below, to show you the improvement that Smilelign clear braces have had for our patients. Use the sliders to see the transformation. Smilelign invisible braces have helped thousands of patients to get a straighter smile. Our patients report improved confidence, and many say they now receive compliments about their teeth! These folks were delighted with the results they’ve seen in a short time-frame, all achieved with minimal discomfort. Check out these videos from Smilelign patients to learn about their experience, and the difference Smilelign has made to their lives. 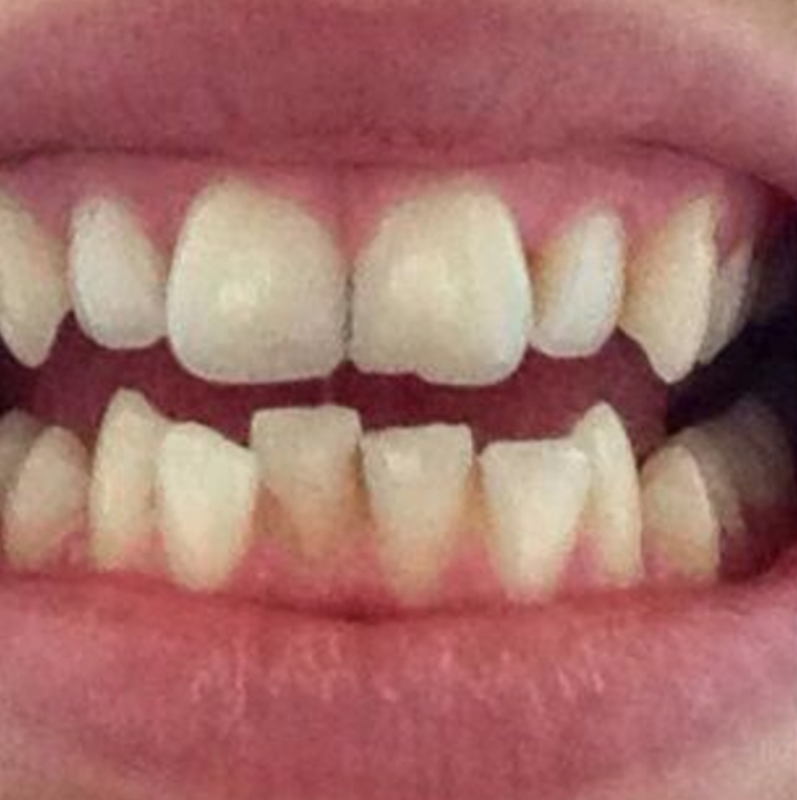 Chloe Newlove, a Smilelign patient of James Pegg Dentistry in York, shares her Smilelign story. Patients, including boxing champion Lewis Taylor, share their feedback on the Smilelign process. This patient, who had her teeth straightened with Smilelign, says people ask her all the time what she has had done and couldn't be happier with the experience and result. Check out the latest updates from our Instagram account, including some of the latest photos of satisfied Smilelign patients.